As the dust settles on the election results, the Dutch papers have been looking to the future and pondering what sort of cabinet the Netherlands is likely to get. Trouw in its editorial says Edith Schippers, the health minister who has been charged with sounding out potential coalitions, will be looking for a stable majority cabinet. But this might prove too difficult and a minority cabinet might be the answer. The VVD, D66 and CDA combo does not inspire much confidence when it comes to intensifying measures to protect the environment and the transition to renewable energy sources, says Trouw. But although the need for the support of ChristenUnie or GroenLinks – Trouw dismisses Labour which must join the opposition and ‘ponder its future relevance’- is a ‘small beacon of hope’ these issues are among a host of issues the parties won’t see eye to eye about. That is why Schippers must also investigate the possibilities for a minority cabinet. ‘Most politicians don’t like the idea but they are wrong. 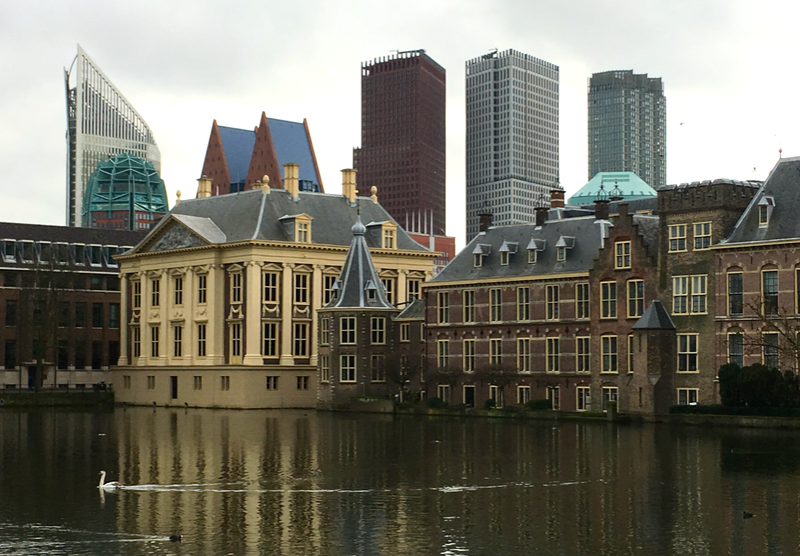 Minority governments can be effective and successful, as Rutte II showed. The only condition is that the parties want to collaborate and not strive to trip up the cabinet to force new elections,’ the paper writes. The Financieele Dagblad also doubts whether Labour will make up the majority for the next cabinet. Neither does it fancy the chances of GroenLinks, although it would give Rutte III a comfortable majority. ‘The VVD and CDA abhore the extreme greening agenda and fairer distribution of wealth with which GroenLinks’ Jesse Klaver has used to try to glue together the shards of the broken left and have said so. And would Klaver himself want to swallowed by Rutte’s political Bermuda triangle, like Asscher before him?’, the paper asks. GroenLinks, with 14 seats, would be hopelessly outnumbered by VVD and CDA, with a combined 52 seats, turning any compromise into a ‘capitulation’, the FD writes. However, the key to a cabinet which includes GroenLinks may very well lie with D66, the FD argues. With GroenLinks in the coalition the D66 will have support for their education policy. Both parties want to spend an extra €3m to €4m while VVD and CDA want to freeze education spending. They would also find each other in matters to do with environment, although the ChristenUnie would also be on their side, albeit with fewer MPs,’ the FD writes. The NRC looks into the rise of Thierry Baudet whose Forum voor Democratie won two seats in parliament and is the only of the new parties to win enough support from a base of zero. The paper delved into the support Baudet has from the co-called ‘alt-right’, an American extreme right-wing movement whose activities are internet-based and whose following in the Netherlands, according to the NRC, consists of ‘a relatively small group of people on the internet who adhere to a variety of ideas, from libertarian to extremely right wing. They find each other in the thought that the white western male is under threat from, among others, Muslims and feminists. Like their American Alt right supporters they frequent the internet forum 4chan,’ the paper writes. Baudet earned the support of the alt-right for his anti-feminist stance. ‘He defended controversial ‘pick-up artist’ Julien Blanc. His recent comment about the elite which is working on “a homeopathic mixing of our population with other peoples so there will never by another Dutchman”, was also appreciated,’ the NRC writes. Although Baudet’s following is much broader, he likes to flirt with the movement, for instance by retweeting a photoshopped picture of him with the American alt-right symbol Pepe the frog on his shoulder. He also met American alt-right figures such as Milo Yiannopoloulos and James Ronald Kennedy, whom he called ‘a respected author’, the paper writes. Whether or not alt-right supporters ‘memed them into the 2e kamer’, as supporters claimed, is hard to tell, the NRC concludes.